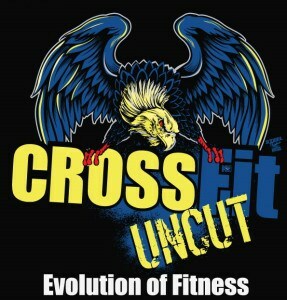 Check out what Shea had to say about training at CrossFit Uncut for 4years. 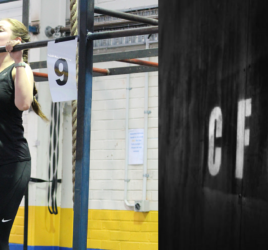 What are you striving to achieve with CrossFit Uncut? I’m trying to get a wee bit fitter. I did have a few goals to compete in powerlifting but I hurt my back so I’m trying to focus on the fitness side of things. My first experiences were in the days of GPP for those who remember that. It was all go go go. There were no weights involved really it was all just body weight stuff. How do you find the coaches and other members? The coaches are great. Jeff, Becks, Lesley and Dalton are all great. They work around all fitness levels and injuries so you’re still able to get a good workout regardless. And all the members here are great, they’re all encouraging and some of them are friends for life. 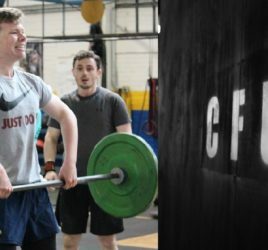 What is it specifically about CrossFit Uncut that you like? The space. 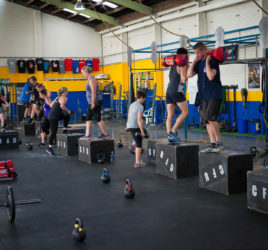 I’ve been to a few CrossFit gyms up north and they’re all quite pokey and the amount of gear we’ve got here, it’s a tremendous amount of gear so yeah, that’s good. Give it a go. I think if you come and give it a go it’s not as scary as it looks on TV. It’s like every average Joe is here, and everyone is encouraging so get off the fence and come and give it a go! Member Spotlight Monday – Shea Interview"I like the space in the gym, I've been to a few CrossFit gyms ups north and they're all quite pokey, and also the amount of gear we've got here."